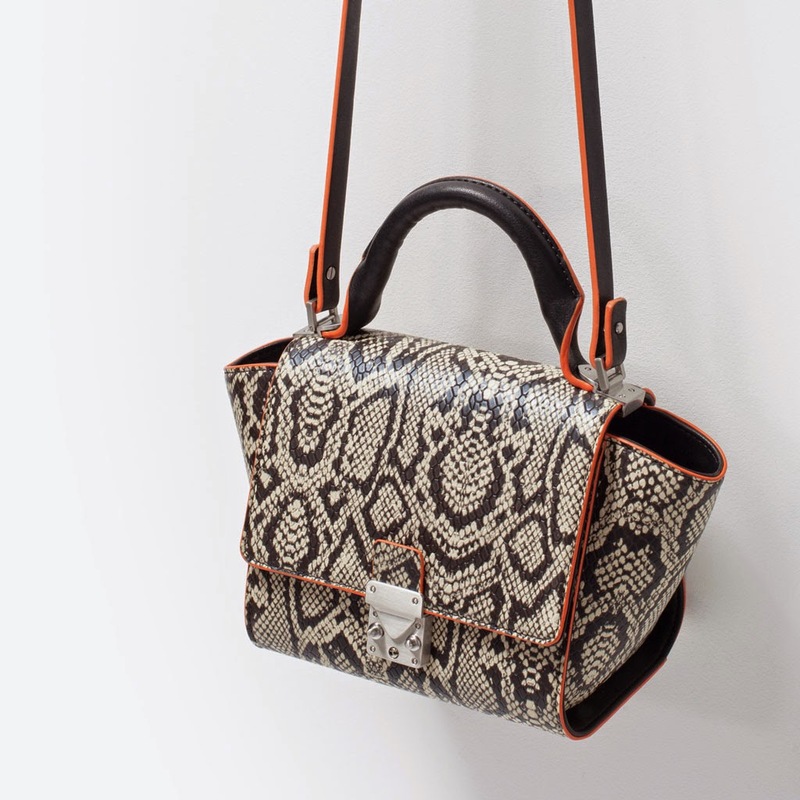 This animal print bag from Zara would be the perfect addition for spring. The orange trim adds a special touch and I like the small size with the top handle and cross body. That bag is gorgeous! I really like the orange trim! I love the trim too! Love your high street favorite series! This bag is gorgeous. Perfect bag, adore this design!!!!! Nice bag!! I need to check that out right now! !